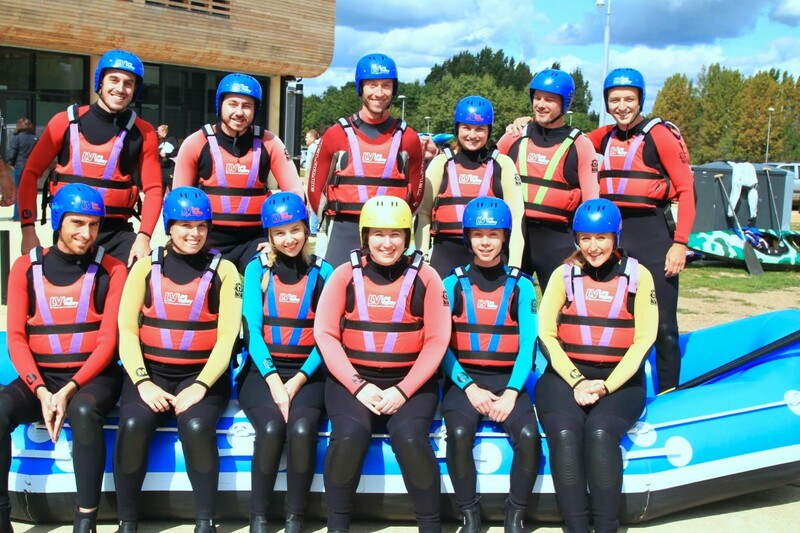 The team headed to Hertfordshire last Saturday to experience a fun-filled day white water rafting at Lee Valley. With an early start, many of us opted for a classic McStart to the day with bacon and egg McMuffins, with a large coffee before hitting the road! When we got to Lee Valley and saw the course we were going to be on, we became excited about getting stuck in, and our competitive sides started to show. Bearing in mind there isn’t any competition in white water rafting, we were ready to do anything to prove our team was the best. Although most of us had never been rafting before, we had four kayaking kings who were ready to show off their excellent paddling skills. Some of us even started to feel a few nerves by the time we had our picture taken, but they were soon washed away as the instructors got us all in the water for a warm up. Split into two teams, we went through the basics of leaning side to side, rowing and swimming to the side in case we fell out. 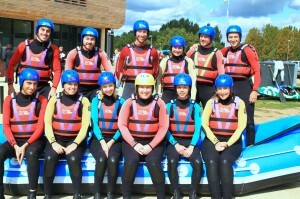 Then finally, we began our white water rafting experience. 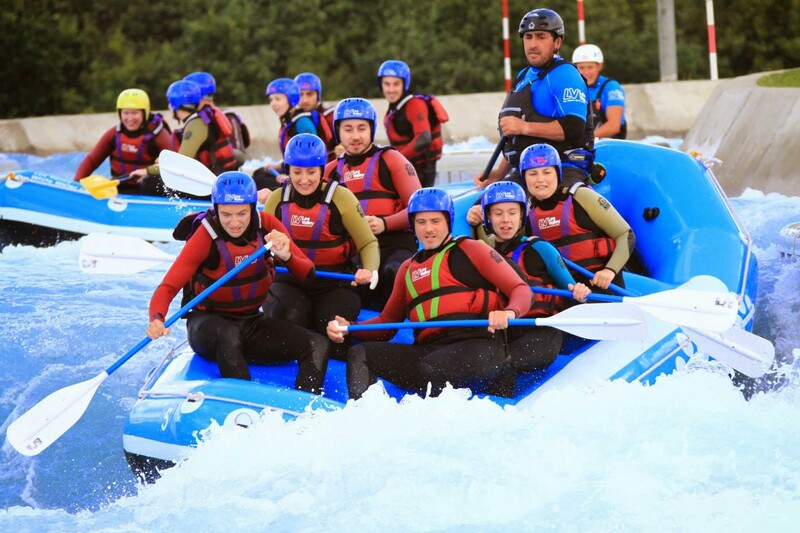 It was great fun from the very start, from being splashed by the cheeky instructor to going down the first rapid. Everyone had a great time, and it was generally a fantastic team day out. Towards the very end, the instructors told us we were going to tip over. So we had the option to get out if we preferred. Of course we all stayed and went against the largest rapid on the course, where we faced the current on our side. 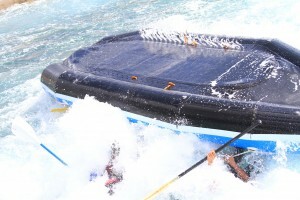 One team fell out as the boat tipped over completely. The other team managed to keep upright by leaning all of their weight to one side. However, by the end a few of us even almost fancied falling out.